Alzheimer Scotland members come from all walks of life. Join us and make a difference. We love to see our members at our events so we'll let you know when they are coming up. We'll also give you priority invitations and discounts! 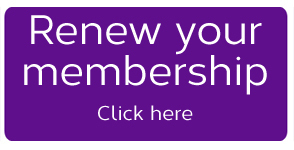 Becoming a member is easy, you can join online or you can call us during office hours on 0131 243 1453. Please note: We are working to make Direct Debit available online. In the meantime please contact us if you would like to sign up by Direct Debit. With the help of our members and supporters, we provide networks of Dementia Advisors and Dementia Nurses across Scotland, a Freephone 24 hour Dementia Helpline, the Alzheimer Scotland Dementia Research Centre and campaign for the rights of people with dementia, their partners and families.